'Will & Grace' will be returning to TV soon and on Saturday(September 23rd) Debra Messing joined her cast mates at the shows 2017 Tribeca TV Festival panel in New York. 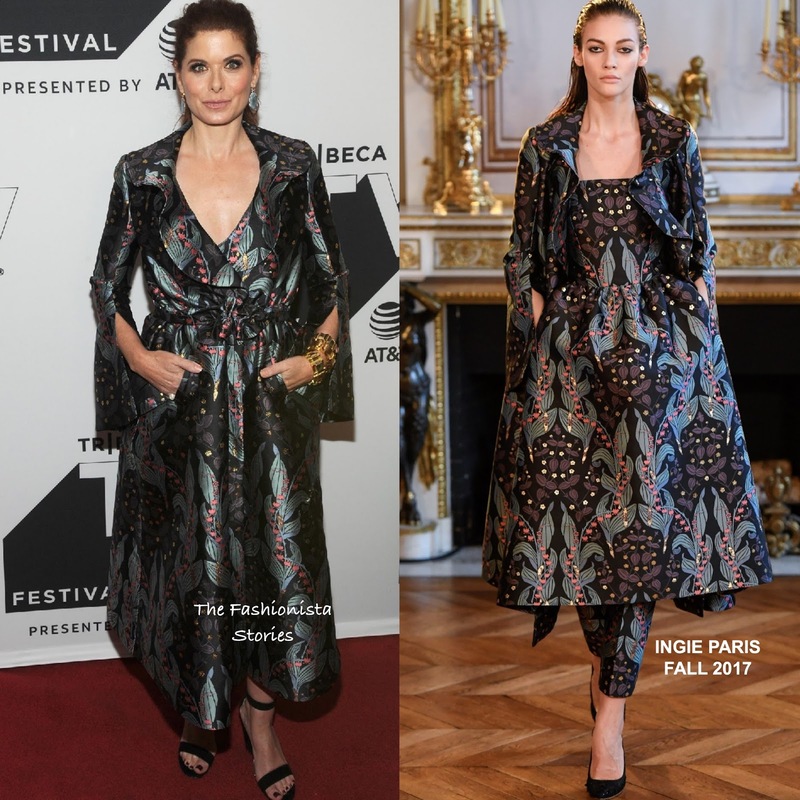 She hit the red carpet wearing a INGIE PARIS FALL 2017 printed coat dress with a v-neckline, a drawstring waist, split sleeves and pockets which she utilized. Looking through her red carpet images, I can't say that this piece is flattering on her. She finished up with statement jewelry, black sandals, a ponytail and smokey eyes. What do you think of Debra's look?